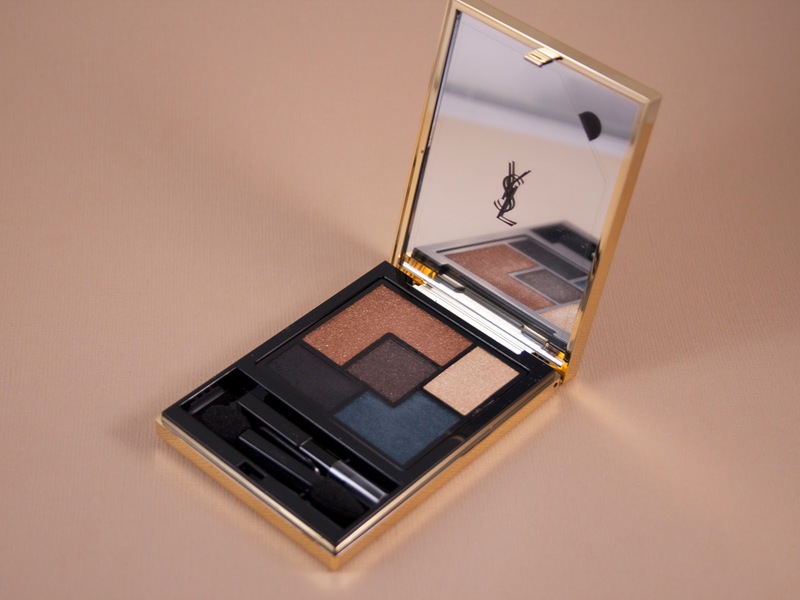 If you are a YSL addict like myself there is no doubt that you have seen the absolutely stunning palette that is part of the Fall 2014 Cuirs Fétiches (Leather Fetish.....ooooh, saucy!) Collection. 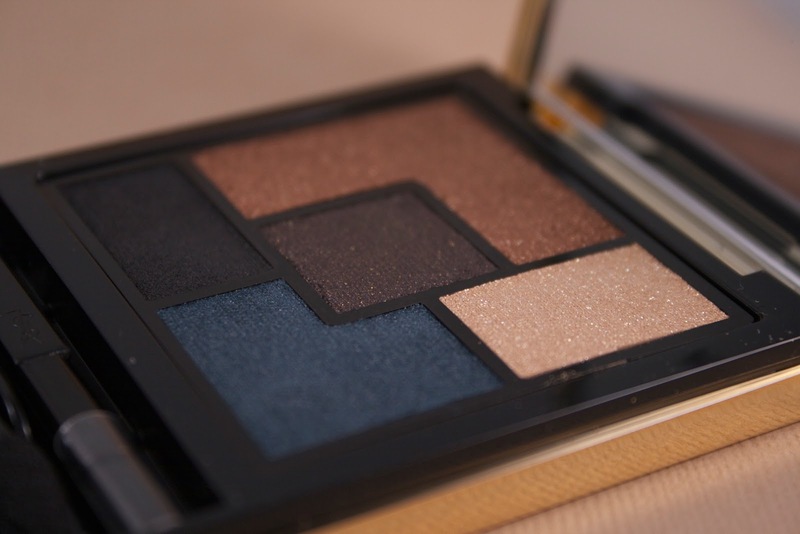 This palette offers five shades in the revamped style YSL released earlier this year. Unlike the other palettes, however, the packaging on this one comes with some gorgeous leather detailing. 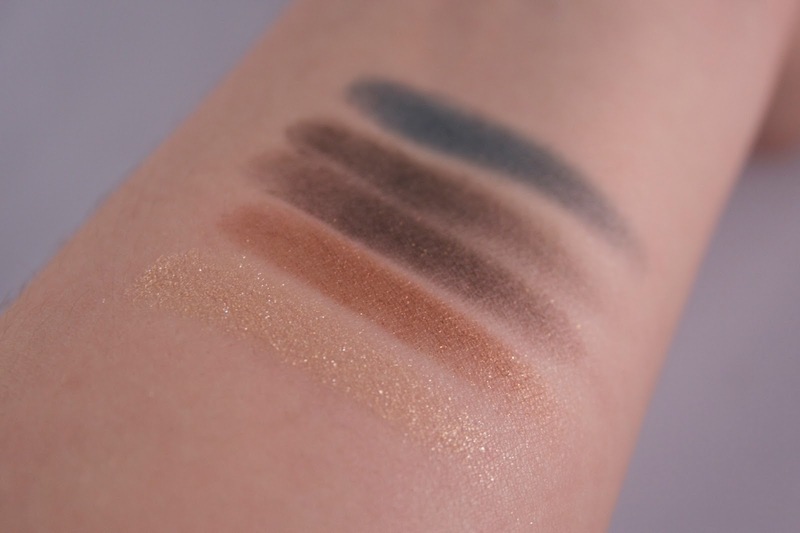 I knew I already liked the formula of these shadows (I reviewed the Couture Palettes in 03 Afrique and 09 Love here), but the shades in Fétiche are a bit outside of my neutral comfort zone, so I initially held off on buying this one. 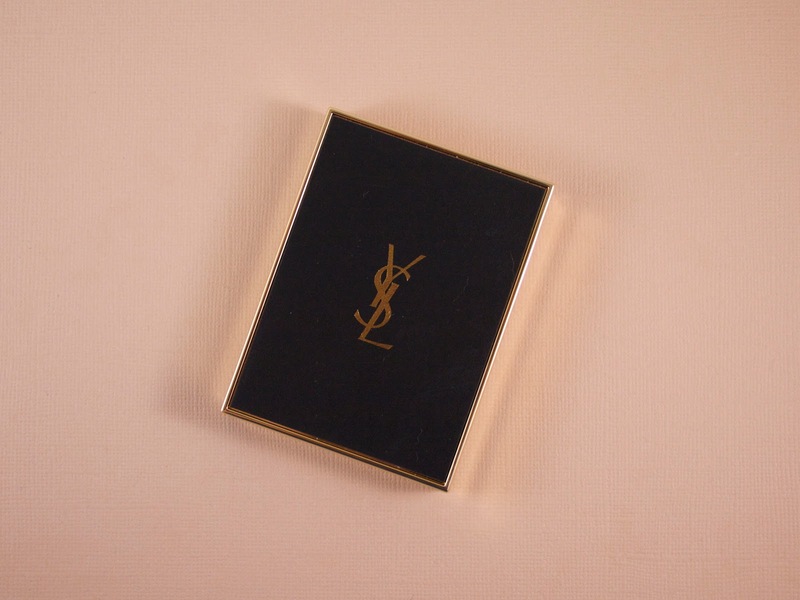 I had an appointment with YSL Artistic Director of Makeup, Dell Ashley, and I wanted to get his opinion on this palette and see how he would apply it on me. By the date of my appointment with him in mid-July, Fétiche had already sold out at my local store, but he scrounged up a tester that he used on me (I instagrammed a not-so-great photo of the look he did on me). As soon as I saw the look he did with Fétiche, I knew I didn't want to live with the regret of not getting this limited edition palette. So, I promptly ordered it and am so glad that I did! The combination of blue, brown, and bronze in this palette makes it absolutely unique in my collection. 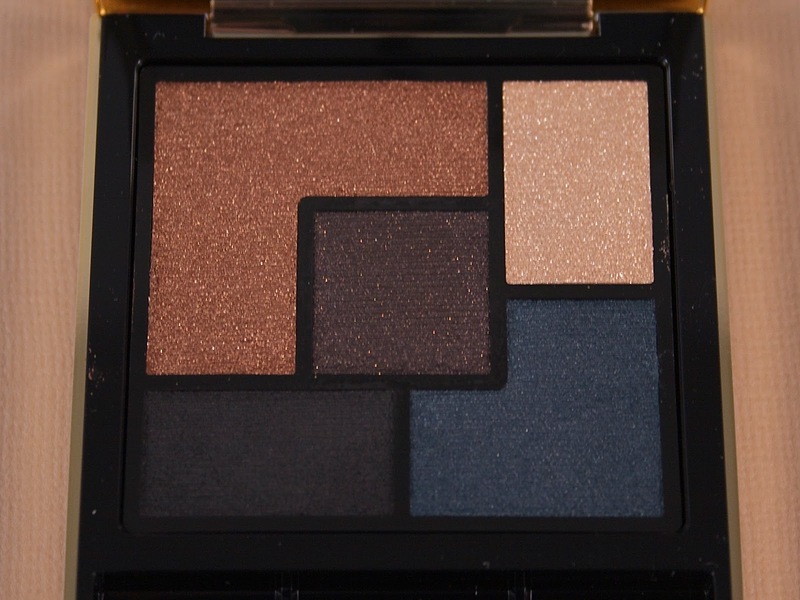 Those of you that may have tried the other new YSL palettes and were disappointed in their pigmentation might want to give this a try, as I found all five of the shades more pigmented than either Afrique or Love. Three of the shades do have glitter (the top left, top right, and center shades), while the bottom left is matte and the bottom right seems to have a satin finish. So far, I've been using the brown and bronze shades on the lid, with the blue and navy shades as liners (the blue shade on the bottom right is stunning, by the way!) Eventually I hope to work up the courage/skill to use the blues as lid colors. You could use the shades in this palette to create a look appropriate for daytime, but I think it is best suited for a more dramatic evening look--especially when used over a dark base, like the MAC Paintpot in Quite Natural. I am truly loving this palette at the moment. It is making me look forward to cool autumn weather, colorful leaves, and hot drinks! But what I possibly love even more than the Fétiche Palette itself is another product from the Cuirs Fétiches collection: the Babydoll Eyeliner in 18 Bleu Patine. I am normally not a liquid eyeliner fan, but Bleu Patine is the most stunning color I've ever encountered. It complements Fétiche so wonderfully and the brush makes application so easy. It is a longer and much thinner than many other liquid eyeliner brushes. This allows me to create a very thin line, which is essential given my limited lid space. And the length of the brush makes a cat eye flick with little to no effort (trust me, when it comes to liquid liner I'm quite inept, so anything that does require effort or skill is a no go). 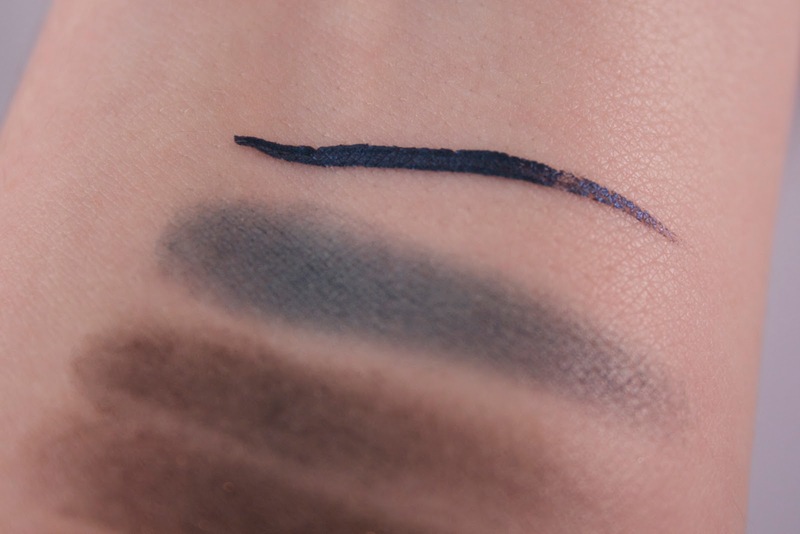 The YSL Babydoll Eyeliner in 18 Bleu Patine at the top. In my opinion, both the Fétiche palette and Bleu Patine eyeliner are worth picking up. They stand out amongst the sea of neutral products that I own, without being garish or requiring too much bravery to wear. Both Fétiche and Bleu Patine are currently available at Nordstrom, who are also offering a YSL Gift with Purchase (a rarity, indeed) during the Nordstrom Anniversary Sale, which continues until August 4th or until supplies run out. Have you tried either of these yet? What other fall collections are you excited for? For more beauty-related nonsense, please follow me on Bloglovin, Instagram, and Twitter!